A beautiful base for all of your wonderful charms, this charm bracelet is made from sterling silver. 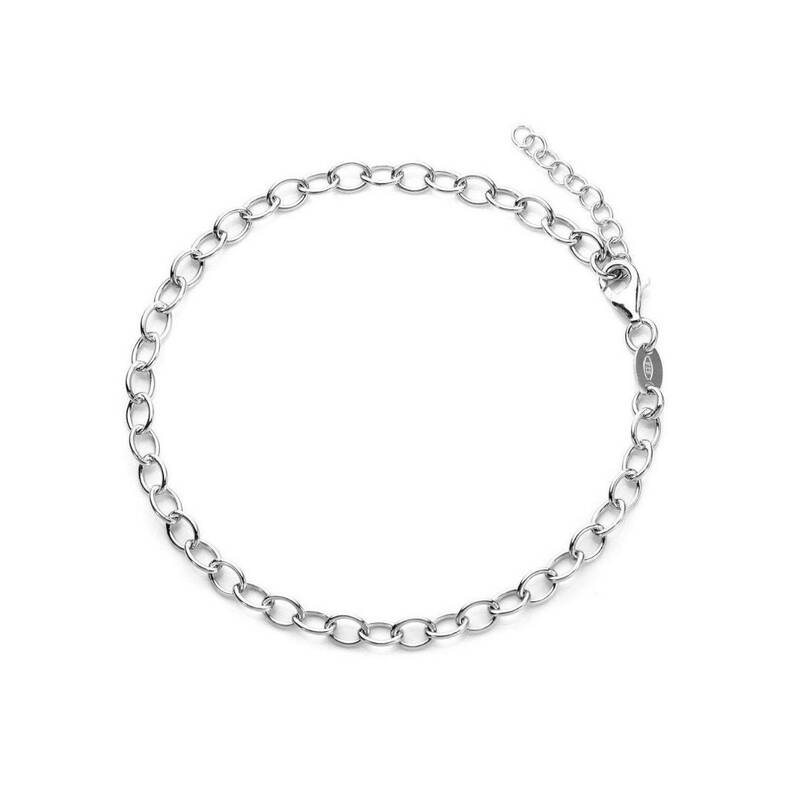 A rolo style of chain, the bracelet weighs approximately 3 grams, depending on the length you choose. This chain comes in two lengths to suit your needs: 6 inches (child), 7 inches (standard adult. If you choose any of our charms alongside this bracelet, we will be happy to fit them for you. Communication with the vendor was quick and responsive - they are very friendly and helpful, and tried to do everything right. Unfortunately, the item never arrived. I waited over a month, and was disappointed as this was an expensive, long-awaited present that really did not work out. This was out of the vendors control I think. It is a shame my wife never got to see her present.